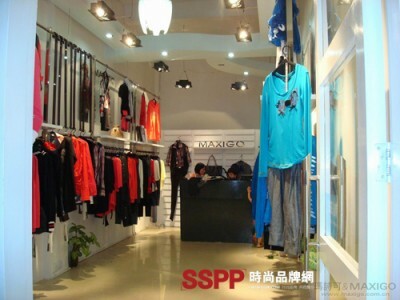 Italy carefully crafted women's brand Maxi MAXIGO women's brand new store in the city of Yunfu in Guangdong recently grand re-opened, Maxi MAXIGO women's brand in Guangdong Pearl River Delta's development has entered the fast lane! 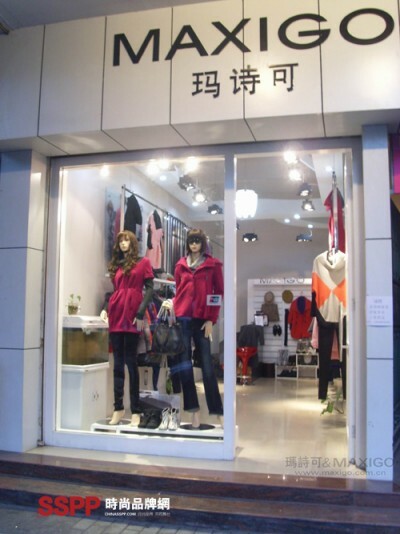 The brand's design has a distinctive artistic style, not only captured the fashion in Europe and the United States, but also into the Oriental women's elegant, the perfect blend of Eastern and Western cultures make the brand unique personality, which by many consumers Maria Maxi women's brand sought after approval . Maxi MAXIGO women's brand is also determined to work fine, thin, better to provide consumers with valuable services. Shenzhen tone Clothing Co., Ltd is a collection product development, design, production and sales as one of the professional apparel business. In 2006, the company introduced "MAXIGO" from Italy. With its excellent marketing team and excellent designer team, the company started to start a series of advanced management systems including management system, sales network and information timely. Fully tap the brand blind spot, the integration of brand advantages in the highly competitive women's market has completely changed the international brand supremacy approach to achieve the popularity of international brands, so that more Chinese women in fashion at reasonable prices to enjoy the aristocratic brand, the real realization Rapid circulation, small profits but quick turnover, made the majority of agents and shopping malls alike, but also by the modern city of new women's favorite, more than five years of development, "MAXIGO May poetry" in the country has distributed more than 100 counters, become In recent years, one of the fastest growing women's brands in Shenzhen. Brand style : "fashion personality woman", European leisure style, fashion, leisure, elegance, respect for nature is "MAXIGO Maxell" designer attitude to life, but also "MAXIGO Maxell" interpretation and promotion of the concept of dress. Brand advantage: Style is a single product is reasonable, wearing strong, with a wealth of insight, "MAXIGO Maxell" color pursuit of steady and elegant green gray as the basic color, together with the trend of bright spots as embellishment. The overall design is based on nature, rich in design details, inspired by the arts, nature and life, with exquisite details of the processing and exquisite version, shaping the modern knowledge of women calm, elegant urban image. Brand positioning Customer age positioning: the core consumer booking in the 25-38 years old; extended consumer positioning in the 22-40 years old; Customer group positioning: high-income urban white-collar workers, the pursuit of high-quality modern life beauty of women, Successful social women with diverse lives. They are confident, optimistic and positive attitude to life, good cultural accomplishment and quality of life so that they love and appreciate the arts. Through self-design concept of dress, the simple and fashionable style can distinguish the crowd through different collocation ways, show the respected, common and shared culture and value of modern urban women, and make themselves become self-fashion, natural and aesthetic Style.